← Ekphrasis. Pardon me? What did you say? Before TV and high-tech came on the scene, people listened to their entertainment on the radio. To soaps and sitcoms and mysteries and children’s programs. To sports and news. They conjured in their minds how a situation or character looked. They visualized the world the program took them into. Each person drew on the words they heard. They added information from their own experiences, their perceptions, and their world view to shape the pictures and thoughts in their heads. Today, with films, television shows, the internet, and video games, little is left for us to imagine. Animated films spell it all out for kids. Movies have difficulty allowing us into a character’s thoughts and seldom offer scene fade-outs so the mind can take over. Everything is portrayed. A mind numbing experience. But … the reader of a writer’s words still has the freedom to let his imagination run. To “see” a character, “hear” the pitch of the character’s voice, visualize a small town, smell a bonfire, taste a stew, feel a rough hand, hear the crash of glass. The reader is free to travel into the wider world the writer’s words unlock. And, if the writer’s done her job, the reader will care about the character, feel the tension, cry, and laugh. A solitary picture can give the reader’s imagination a gentle nudge. 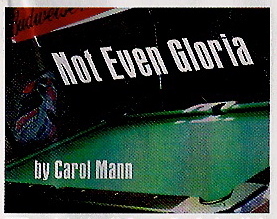 Two of my short stories, “Not Even Gloria” and “Funny Man”, appeared in The Sun Runner magazine. The publication chose a picture to accompany each story. The images reminded me of a book jacket or an old time movie poster. A character (person) wasn’t pictured. How that character looked was left to the imagination and the writer’s words. As writers, we go from what we know is real … to the imaginary. We get to dream and not just at night. We can let our imaginations run and take our readers with us. Together we can keep our imaginations alive and well. This entry was posted in Books, Creativity, fiction writing, Finding Ideas: The Creative Process, Inspiration, Looking for Inspiration, Reading, short story, Writing and tagged books, dream, imagination, imagining, reading, short story, the mind's eye, The Sun Runner magazine, writing. Bookmark the permalink. I’m so looking forward to taking your one month class in February. You are so creative and inspiring. Thank you, Deb. I’m looking forward to meeting with the gals from Girls’ Night Out … and writing! I have a feeling they have stories to tell. Love the post. It’s so true that all the info is so filled in. Add Google to the mix and forget about any mystery. Congrats on getting those great stories published. I remember them very well! My ongoing faith in books and mystery was renewed again at the RM Writers’ Festival. 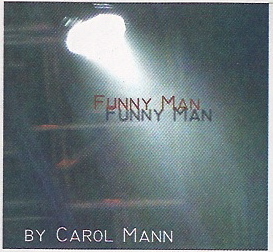 I remember “Funny Man” fondly. The story was a direct result of a picture writing prompt in your class. When I selected the picture, I wondered, What am I going to do with this? 🙂 Thank you!